Why settle for a wired scanner if you can get your hands on an obd2 bluetooth adapter in stores? These relatively affordable devices are simple to use. The Bluetooth adapter plugs easily in the OBD2 port of your vehicle. All that is needed is to pair your smartphone or tablet with an app like Torque Pro or Auto Doctor (Read more about Apps here). It is an easy way to diagnose check engine codes, transmission error codes, and monitor vital sensor information without going to a mechanic. Bluetooth OBD2 scanners might be cheaper than wired scanners, but not all of them are the same. Let’s talk about the features you might want to look out for. The first thing to consider in an OBD2 Bluetooth scanner is the connectivity. Most Bluetooth-enabled OBD2 scan tools are specifically designed to pair with Android devices. Apple is strict when it comes to pairing with ‘unknown devices’, which is the reason why only Apple devices can pair via Bluetooth with another Apple device… unfortunately this means that most OBD2 bluetooth adapters in stores will not work with Apple (Except the Bluedriver!). Now, I don’t know if you agree with Apple or not. But if you have an Apple device, make sure the scanner is compatible with the iPhone or iPad. 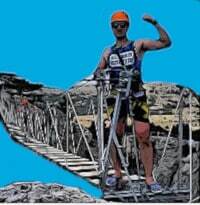 One of the most popular choices would be Bluedriver. This tool works with both Android AND Apple. Read more about the Bluedriver review here. But if you have an Android device, you’ve got a lot more options. Basically any scanner (wifi or bluetooth) will work with your device. Other than the above points, the next thing to consider is the OBD2 protocol. Not all wireless devices are able to support all five OBD2 protocols, and not all have the capability to read manufacturer-specific trouble codes. SAE J1850 PWM – This is the OBD2 protocol in most Ford vehicles and transfers data at a rate of 41.6 kB/sec. SAE J1850 VPW – This is the diagnostic OBD2 bus in most GM vehicles. It transfers data at a rate of 10.4 kB/sec. ISO9141-2 – This is the diagnostic OBD2 protocol in most European vehicles manufactured between 2000 and 2004. ISO14230-4 or KWP2000 – This is the standard protocol for most vehicles manufactured in 2003 onwards. CAN-BUS or ISO15765-4 – This is the mandatory OBD2 protocol for all vehicles sold in the U.S. starting in 2008 onwards. In order to be sure, it is a good idea to determine the OBD2 protocol of your vehicle. Remember all 1996 and newer vehicles sold in the U.S.A. are OBD2 compliant, but this doesn’t mean all vehicles share the same protocols. Now that you understand the protocols and the fact that you’ll probably need an Android device let’s talk about the best OBD2 Bluetooth Adapters in stores now. In order to make things more interesting, let’s discuss the negatives first. The Panlong Bluetooth OBD2 Scanner has a tendency to lose Bluetooth connections in operation. I’m not really sure if this has something to do with the software version of the scanner, but it happens once an hour or so. After breaking the connection, it will quickly initialize a connection once more, which can prove irritating if you’re driving to monitor the sensor readings of the vehicle. It’s a cheap adapter that runs with Android, and only with Android. Perfect for the budget shopper looking for the cheapest option. But other than that, the Panlong Bluetooth OBD2 Diagnostic Scanner is a great wireless scanners for Android devices. Yes, this device is strictly for Android devices only. If you’re a die-hard Apple user though you can buy a Wi-Fi version of this device for Apple and iOS devices. This nifty OBD2 adapter is compatible with 1996 and newer vehicles, whether foreign or domestic. However, this scan tool will not work on diesel or hybrid power trains running on a 24-volt electrical system. The Panlong OBD2 Bluetooth Adapter is compatible with all known OBD2 protocols including KWP2000 and CAN-BUS. It is perfect for both DIY and expert mechanics. It can read the source of the check engine light and monitor vital information such as coolant temperature, throttle position, intake manifold pressure, fuel pressure, ignition timing advance, etc. It also works with both paid and free OBD2 diagnostic apps such as Torque Pro, OBD Car Doctor, and Torque lite. And with a low price, it’s basically a steal. Alright, if the Panlong is for the budget shopper, then the Bluedriver is for the guy (or gal) who wants the best of the best. Vehicle Compatibility and Tech Support – If you go to their website and browse to the Support tab, https://www.bluedriver.com/support, you will be able to get 24/7 support and also lookup what codes are supported for your specific vehicle. You see, without going too in depth, most scanners “support all vehicles” but they’ll only pull Generic Codes. The Bluedriver will pull Enhanced Codes for many vehicles (Ford, Chevy, Dodge, Toyota, Honda, etc) and they’ll tell you what codes exactly they’ll pull. Support for Android and Apple – Your cheaper bluetooth scanners won’t support both, but the Bluedriver does. Here’s an example of what codes are supported on a 2003 Honda Civic! These sweet features come for a price though. The Bluedriver costs a heck of a lot more than the Panlong! But as with most expensive products, you ultimately get what you pay for. The Bluedriver also feels solid to the touch. The build quality is excellent and comes with 24/7 customer support. The included app is awesome too. No need to download free apps with limited functions! One price will give you everything you need short of an Android or iOS smartphone! 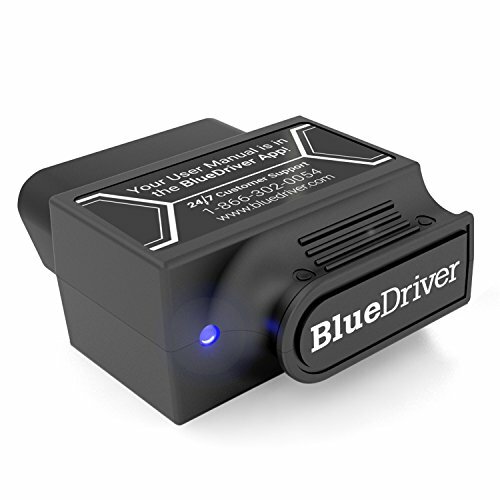 So in terms of versatility, the Bluedriver Bluetooth Professional is the best wireless OBD2 scan tool in stores right now. This device can read, diagnose, and clear the check engine light and provide freeze frame data. It can also provide live sensor data and read enhanced trouble codes such as ABS, airbag, and transmission fault codes. If you want an OBD2 Bluetooth adapter that works with both Android and Apple smart devices, you know what to buy. It’s hard to find something that I dislike about this adapter. The price and build quality of it makes it the perfect fit between the cheap Panlong and expensive Bluedriver. Sure you’ll still have to buy Torque Pro, it won’t work for Apple, but it’s a lot cheaper than the Bluedriver and much more reliable than the Panlong. 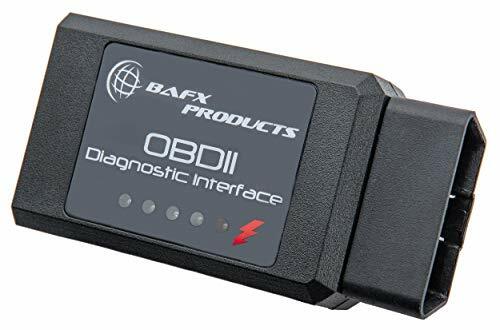 I think the BAFX Products Bluetooth Diagnostic OBD2 Scanner is a winner. It has a solid feel with excellent build quality. Holding this gadget in your hand will confirm the solidity and quality feel of the device. This wireless scan tool is designed to work with Android and Windows devices only. If you have an iOS device, BAFX also offers a Wi-Fi version of this scan tool. I found the best price on Amazon here. It can read and clear the check engine light while monitoring the condition of your vehicle. BAFX swears the scan tool is designed to work on all vehicles purchased in the USA starting in 1996 (though you’ll have to purchase extra features in Torque Pro to read enhanced codes). It is compatible with all known OBD2 protocols including J1850 and CAN-BUS. As an added bonus, BAFX claims it will also work on diesel or hybrid vehicles, whether old or new. There’s a reason why the BAFX is popular: it works like a charm. We wrote a review on the BAFX that you can read if you want. 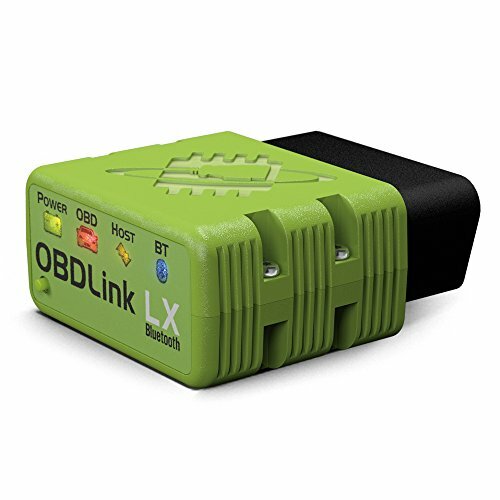 The OBDLink LX Bluetooth is the Goldilocks in this list in terms of price. It is a bit pricey at around $50, but you also get the OBDLink app for the price. This scanner will work on all Android and Windows devices and connects via Bluetooth. It is a high-speed scan tool that works on all 1996 and newer vehicles. It also happens to work with all five OBD2 protocols as well. More expensive than the BAFX, but cheaper than the Bluedriver. It has lightning fast Bluetooth connection speeds. The included app isn’t too shabby. I’d personally stick with the Bluedriver or BAFX though. The OBDLink LX Bluetooth is not only a scan tool. It is a real-time performance monitor and trip computer. It utilizes 128-bit data encryption to protect against hackers in the network. It can also work with other third party OBD2 apps such as Torque and DashCommand. What I really like about the OBDLink LX is the speed. This enabled the scan tool to provide accurate data and smooth real-time graphics each and every time. Hopefully this guide has helped you find the right choice, but let’s sum it all up here in case you’re still undecided. 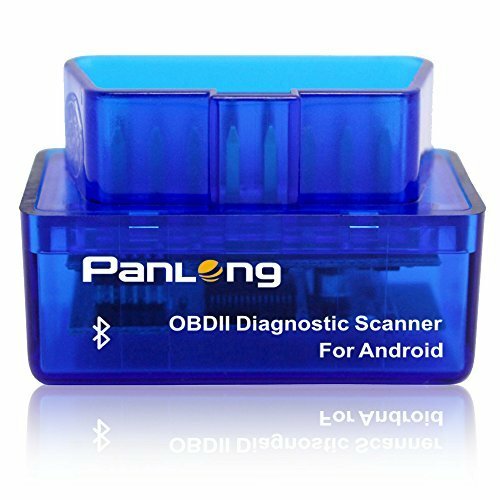 Panlong Diagnostic Scanner – I’d get this adapter if I was looking to save as much money as I can. It’s the cheapest on this list and works decent aside from some random connection drops. Bluedriver Professional for Android and Apple – A straight up awesome adapter that works with iOS and Android, is reliable, has great customer service and lets you see exactly what codes it reads. It’s expensive though. BAFX Products – It’s the choice between “budget” and “best.” Cheaper than the Bludriver but costlier than the Panlong. Much better connections than Panlong though. It only supports Android.